You know you are in a Pennsylvania deli if take-outs include 6- and 12-pack Joe Paterno Legacy Series Duquesne Lager. Penn State Pride runs high, though some actions leave lingering disappointment in a once famous sports program and coach. 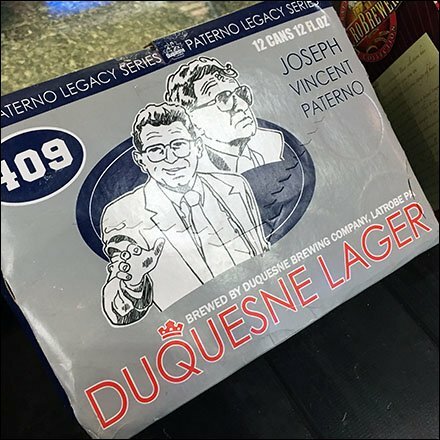 Still Joe Paterno Legacy Series Duquesne Lager would command attention regardless. Seen at Goldstiens Deli, Kingston.